The best and most interesting stories by Robert Aickman, a master of the supernatural tale, the uncanny, and the truly weird. 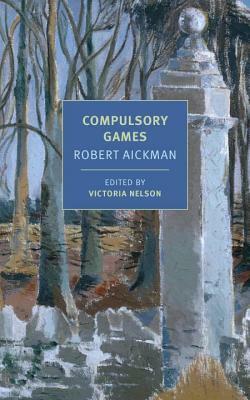 Robert Aickman’s self-described “strange stories” are confoundingly and uniquely his own. These superbly written tales terrify not with standard thrills and gore but through a radical overturning of the laws of nature and everyday life. His territory of the strange, of the “void behind the face of order,” is a surreal region that grotesquely mimics the quotidian: Is that river the Thames, or is it even a river? What does it mean when a prospective lover removes one dress, and then another—and then another? Does a herd of cows in a peaceful churchyard contain the souls of jilted women preparing to trample a cruel lover to death? Published for the first time under one cover, the stories in this collection offer an unequaled introduction to a profoundly original modern master of the uncanny. Robert Aickman (1914–1981) was the son of an architect and grandson of the Victorian Gothic novelist Richard Marsh (author of the occult bestseller The Beetle). He did not attend university and subsisted on a small family income in London, working variously as a literary agent, editor, and theater and art critic. A prominent advocate for preserving and restoring England’s extensive network of canals, he was cofounder, in 1946, of the influential Inland Waterways Association. Above all, Aickman wanted to be an author, and he realized this desire with an extensive oeuvre of quasi-supernatural tales. In addition to eight collections of “strange stories,” as he dubbed them (the first, We Are For the Dark, included stories written by the novelist Elizabeth Jane Howard), his writing includes a short novel, The Late Breakfasters (1965), a posthumously published novella, The Model (1987), and various unpublished fiction, dramatic, and nonfiction works. He published two memoirs, The Attempted Rescue and The River Runs Uphill, and two popular nonfiction books about the inland waterways. Aickman won the World Fantasy Award in 1975 for his story “Pages from a Young Girl’s Journal” and edited eight volumes of The Fontana Book of Great Ghost Stories, writing introductions for six. He died of cancer in 1981. Victoria Nelson is a writer of fiction, criticism, and memoir. Her books include Gothicka and The Secret Life of Puppets, a study of the supernatural grotesque in Western culture that won the Modern Language Association’s Scaglione Prize for Comparative Literary Studies in 2001, and Wild California, a collection of stories. She teaches in Goddard College’s MFA creative writing program.